Viezec has been efficaciously treating and providing healthcare services to patients from across the globe, who are seeking cost-effective and quality surgery in India. This is an instructive page for our health-seeking friends and patients from Africa covering all the facets of traveling to India from Africa for first-rate medical care. Viezec is the first registered (Government of India) medical tourism and healthcare provider group of India. It has been efficiently helping patients across the world by providing healthcare services of the finest quality- patients, who are in the lookout for good-quality medical amenities at reasonable prices. 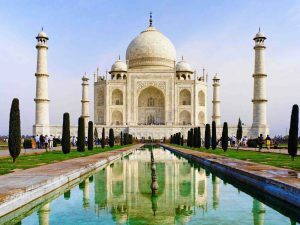 This page caters to our African friends seeking treatment in India, and has all the info focused on the aspects connected to travelling to India for healthcare concerns. Viezec is the top medical tourism service provider of India, catering to universal patient care and promising most favorable assistance to folks in quest of all kinds of medical treatments and surgeries available in India. The hospitals and clinics allied with us are amid the most progressive ones and have the most cutting-edge facilities that are at par with global standards. Not only this, the treatment packages and programs are designed and tailored according to the requirements of the patients and match global standards. Thus, Viezec offers you easy and smooth access to the biggest network of healthcare providers – hospitals, nursing homes, surgeons, physicians and clinics of India. A network that is spread across more than 15 cities of India and there are over 5000 healthcare specialists in the panel. We are an ISO QMS certified for all our administrative protocols guaranteeing safe and best practices for our patients. African Citizens are very sensitive towards their health requirements. Since the medical substructure is not so developed in Africa, patients prefer to travel overseas for medical management. This has been the case in the past also, when only the rich and the wealthy Africans could travel to other nations to get treated. With India evolving as one of the finest and chief medical tourism hubs of the world, just like patients from other nations, patients from Africa also can now afford numerous treatments and have now began flocking to India for all health related concerns. Viezec – as the name advocates has always been at the forefront in accomplishing these prerequisites and has become the most favored healthcare related service provider for African patients. Africa is a land of diversity and distinctions. This is true of its land, climate, folks and wildlife. The continent of Africa comprises one-fifth of the total Earth’s land mass. It is the second biggest continent and is separated into 53 different nations. Africa was the birthplace of the human species between 8 million and 5 million years ago. Nowadays, the vast majority of its populations are of aboriginal origin. Africa is home to uncountable tribes, ethnic and social groups, some signifying very large populations comprising of millions of individuals, others are smaller groups of a couple of thousand. Some nations have over 20 diverse ethnic groups, and also are significantly diverse in beliefs. The vast continent of Africa is so opulent and diverse in its culture with it not only changing from one nation to another but within an individual nation many diverse cultures can be found. Africa has a rich tradition of arts and crafts. African arts and crafts find manifestation in a variety of woodcarvings, brass and leather art works. African arts and crafts also embrace sculpture, paintings, pottery, ceremonial and religious headgear and dress. African culture has always placed prominence on personal appearance and jewelry has remained an imperative personal accessory. Africa is acknowledged globally for its remarkable and unique wildlife species. The elephant, rhino, hippopotamus, lion, leopard, wildebeest, zebra, countless antelope, gazelle, giraffe, baboon, mountain gorilla, lemur, hyena, chimpanzee, African wild dog, are some of the more renowned animals that live in the savanna and tropical rainforest regions. The need to protect some vanishing species and to preserve the numerous habitats of all African wildlife, have occasioned in the formation of a number of national parks. But when it comes to medical facilities in African nations, poor condition and ineffective availability of good doctors, nurses, hospitals and equipments forces the African persons to look outside their nation for treatment. 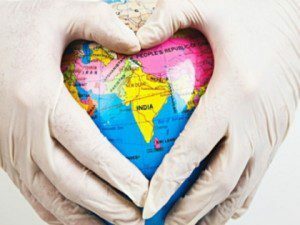 With medical tourism picking up at a fast pace, a huge number of patients are travelling from Africa to India for several medical and surgical treatments. The real attraction to medical tourism to India for African patients is saving money on what usually are very costly procedures i.e. the cost of surgery in India for kidney transplants, cancer treatments, amid others, can be as low as just a tenth or are not even available in maximum of the African nations. Why should Africans choose India for various healthcare treatments and procedures? Our network of hospitals is spread across 15 cities of India with ground support and logistics amenities present in all the cities. Centered on the medical reports of the patients, our specialists recommend them to the most appropriate facility for their medical management. The reference also takes into consideration the monetary aspect of the patient’s family, air connectivity from the patient’s home town, the destination of the medical treatment and the time interval that a patient would be required to stay in India. We comprehend that based on individual patients’ prerequisites as these are very crucial aspects on which the patient’s decision is based. Besides the corporate hospitals, our network also encircles the Multi-Specialty Nursing Homes, Branded Clinics, Trust Hospitals and Economy Hospitals, where treatments are much more reasonable. This makes it very feasible for the patients coming from all socio-economic sections to get quality healthcare. Following are some of the corporate Hospitals and clinics associated with Viezec, where the African patients can get the optimal medical treatment. One of the key regions where Viezec has been recognized extensively in Africa is the notion of Health Tours. A Health Tour would normally include a full body comprehensive health checkup and tours to some of the prevalent destinations. Full body checkups would be followed by in-depth evaluation of the reports and counseling of the patient centered on the reports. After this, full day spas are organized, followed by a tour around the city for about 2-3 days, to all the foremost attractions. Such Health Tours are very advantageous for the patients to revive them and to keep them away from the tension and apprehensions concerning their health. These tours are best done in groups and corporate/brands have been purchasing packages for their executives. Let us comprehend the process of coming to India for successful and economically priced medical treatment. The procedure begins with the patient sending his/her query and medical history via email or by discussing the medical condition over a phone call with a healthcare manager. The reports and the case are methodically studied by our senior surgeons/physicians for a comprehensive medical opinion, which is then conveyed to the patient so that the patient can comprehend and plan the next steps in view of that. As an obligatory protocol, all reports are studied and reviewed by not less than three specialists for unprejudiced comprehensive medical opinions. After this, the patient can travel to India on pre-confirmed dates. Furthermore, we help our patients from Africa in getting medical visa approval plus we also arrange all logistic and travel related provisions. We have been greeting and treating an average of 300 patients every year from Africa and the numbers have been recurrently rising every year. Our fellow brothers and potential patients would like to see the reviews of formerly operated and cured patients. All foreign residents travelling to India require a visa; a visa is a form of permission when you enter another nation. You can apply for the Indian visa at the Indian Consulate in Africa. The Embassy has set guidelines for obtaining Tourist or Medical visa. 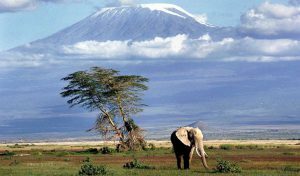 Enclose a valid Africa Re-Entry Permit or permit for onward destination on the passport. Enclose a copy of Africa Dependent/Alien’s Pass for all Non-Africa normally domiciled in Africa. The applicant has to be present in-person in Africa while applying for visa. 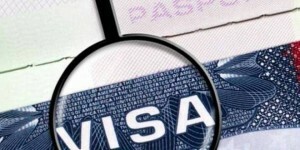 The preliminary period for such a visa may be up to a period of one year or the period of treatment whichever less, which can be extended for a further period of one year, by the State Government/FRROs (Foreigners Regional Registration Offices), on the production of medical certificate/advice from the reputed/recognized/specialized hospitals in the nation. Any further extension will be granted by the Ministry of Home Affairs only on the recommendations of the State Government/FRROs supported by suitable medical documents. Such visa will be valid for maximum three entries during a year. State Government/FRROs might permit one extra entry in case of emergency. With India being rated amid the finest destinations for medical tourism and healthcare services, you can certainly reconnoiter your options with us for getting rid of your health problems. When you come for medical treatment in India, you get a direct appointment from the concerned doctors/surgeons, with the support of 24/7 assistant staff providing 24/7 hours of medical assistance, accommodation, airport pick up, inland conveyance facility for moving to and fro between the hospital and your accommodation destination, progressive medical lodging at the hospital premises, access to internationally trained surgeons, JCI recognized medical staff, hygienic food and recreation amenities like holiday tours at famous Indian resorts. Patients from Africa suffering from serious health diseases, seeking timely and economical medical care in India are requested to send their medical case details by filling this enquiry form or calling us straight on our phone lines.